Malta now has its first eight marine Special Protection Areas (SPAs), giving our seabirds protection also out at sea. This is a great achievement for the LIFE+ Malta Seabird Project and very good news for the birds. Throughout the five-year lifespan of the project we identified the most important sites at sea frequented by seabirds known as marine Important Bird Areas (IBAs). With these areas now being protected as SPAs, Malta is fulfilling its obligation of implementing the EU Birds Directive which establishes the network of SPAs across Europe to protect the natural habitats of endangered bird species. The Birds Directive also protects all three seabird species the project has been studying. The map of SPAs show the whereabouts of each species. All SPAs are also included in Natura 2000 ecological network. This means the next steps for seabird protection will be the creation and implementation, by the Maltese authorities, of management plans for these areas, as well as monitoring them to make sure that human activities are sustainable and seabirds and other marine life are safe. We thank our partners the RSPB of the UK, SPEA of Portugal and Malta’s Ministry for Sustainable Development, Environment and Climate Change. 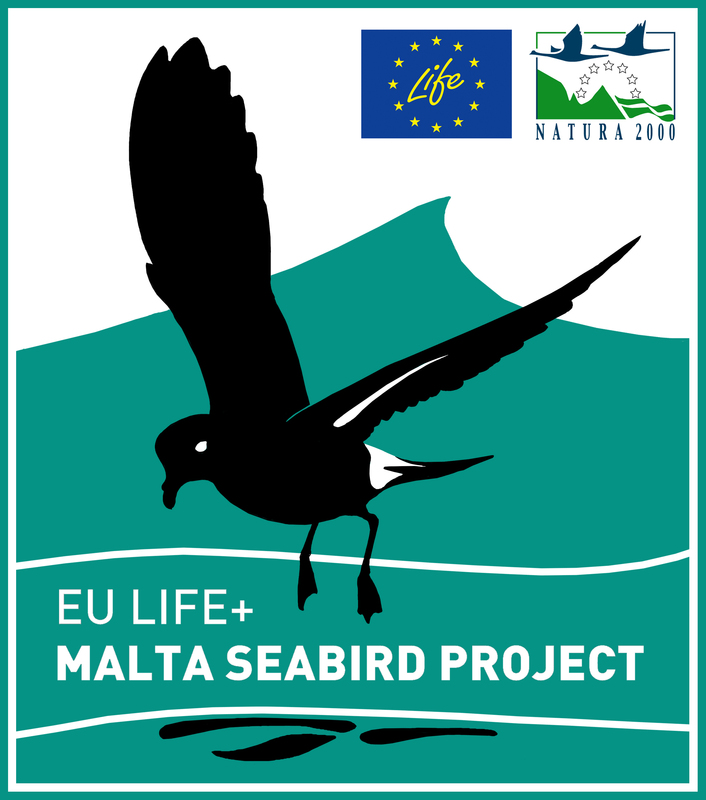 The LIFE+ Malta Seabird Project has been co-funded by the LIFE unit of the European Union.